We strive to be leaders in both the retirement industry and our local Washington, D.C. community. 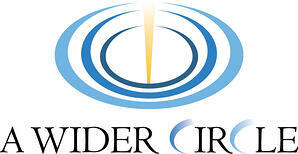 A Wider Circle is a 501(c)(3) charity whose mission is to help children and adults to lift themselves out of poverty. Each day, A Wider Circle provides basic need items to families transitioning out of shelters or simply living without life’s necessities. A Wider Circle also leads educational workshops on topics ranging from job skills and stress management to healthy nutrition and financial planning. Since their inception A Wider Circle has focused on building an organization that addresses the whole person- with programs that not only tend to people’s tangible needs but also to their inner needs. It is a holistic model that they believe facilitates long-term change. Commonwealth Cares is a 501(c)(3) charity created to maximize the impact of our many and varied efforts to give back to the communities we work in, live in, and visit. This foundation is the natural next step in a long history of giving back that began with Commonwealth’s founder and Chairman, Joe Deitch, and his late wife Robbie. For more than three decades, they and others on our Executive Management team have lived our firm’s cultural values through their commitment to a diverse range of causes and organizations. Commonwealth Cares provides contributions of time, talent, and financial support to a wide range of philanthropic efforts aimed at relieving human suffering, promoting social and economic growth, and sustaining and protecting our planet’s resources. All operating and administrative expenses for Commonwealth Cares are borne by Commonwealth. One-hundred cents on every dollar contributed goes directly to the causes we support. The foundation has a specific focus on causes dedicated to children and education, poverty relief, and disaster assistance. Efforts range from local programs, such as the Waltham and San Diego Boys & Girls clubs, to humanitarian relief efforts happening on a global scale. Our board, however, will consider any opportunity for giving that meets the goals of the foundation. Good Samaritan Advocates works to provide legal assistance to the underprivileged and underserved in Fairfax, Loudon and Montgomery Counties. More than 4,300 people per year are turned away from legal aid services and Good Samaritan Advocates works to eradicate this fact and seek justice for those living in poverty. Through their free, pro bono legal clinic, lawyers working with the Good Samaritan Advocates aim to remedy legal issues community members who cannot afford legal guidance are facing. With compassion and support, these attorneys provide clarification on legal problems, determine any documentation necessary, and provide referrals if a client needs further assistance. So Others Might Eat (SOME) works to help the low-income and homeless populations of Washington, DC. Originally a small soup kitchen, SOME has expanded to offer comprehensive services comprising 38 different programs and serving over 10,000 individuals every year. They help break the cycle of homelessness and poverty by providing a wide range of services including affordable housing, job training, addiction treatment, and mental healthcare. They also provide immediate essentials such as food, clothing, and medical help every day to those in need. The mission of SOME is to not only help relieve the daily burden and stress inherent among the poor and homeless populations, but to provide a path to independence and dignity. In 2015, SOME served 427,278 meals, housed 192 families, and had 9,197 visits to their Medical and Dental Clinic.